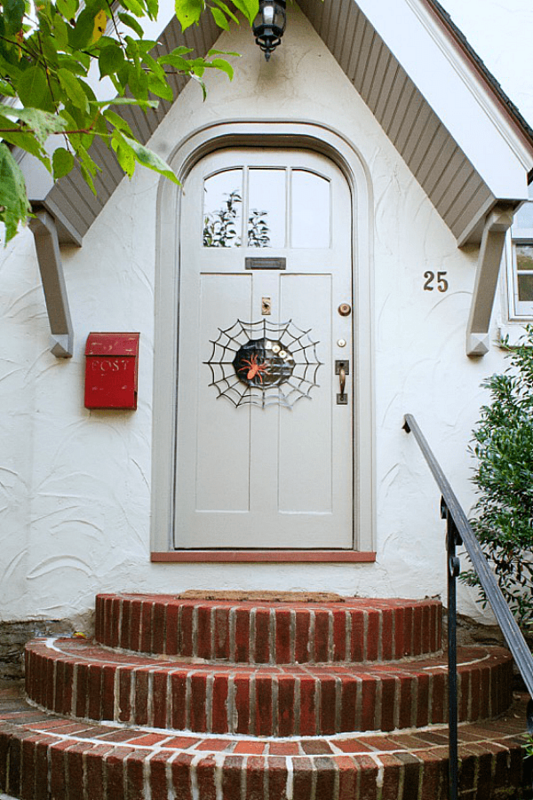 Three Halloween Duct Tape Projects Your Kids Will Love! 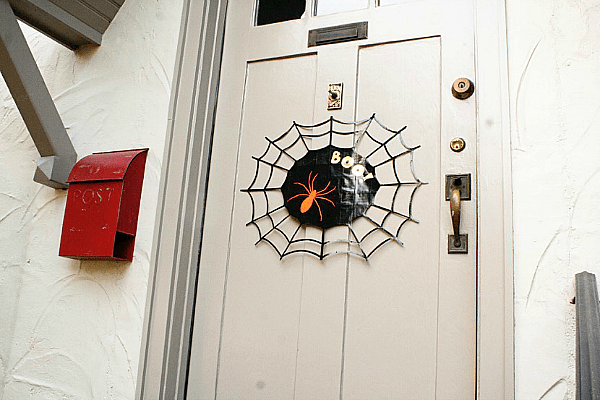 From Duct Tape Bags: 40 Projects for Totes, Clutches, Messenger Bags, and Bowlers Author Richela Fabian Morgan, here are 3 duct tape projects for your family to get into the Halloween spirit! 2. Starting at the bottom left corner, draw slightly U-shaped line upward, connecting to the left end of the diagonal line above it. From this point, draw another U-shaped line to the next diagonal line, and repeat until you reach the top right corner of the folded paper. 6. 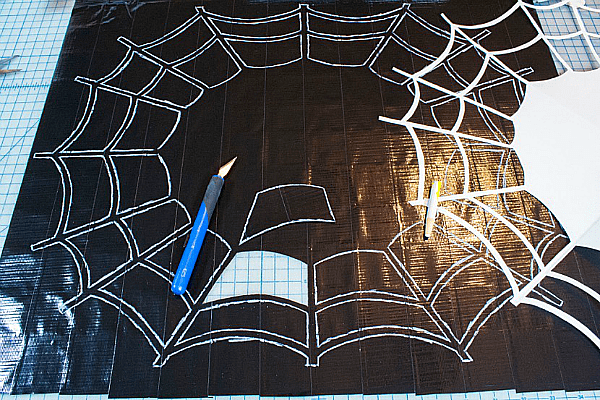 Using black duct tape for the front side and gold duct tape for the back side, make a double-sided duct tape fabric measuring 18″ high and 24″ wide. 1. 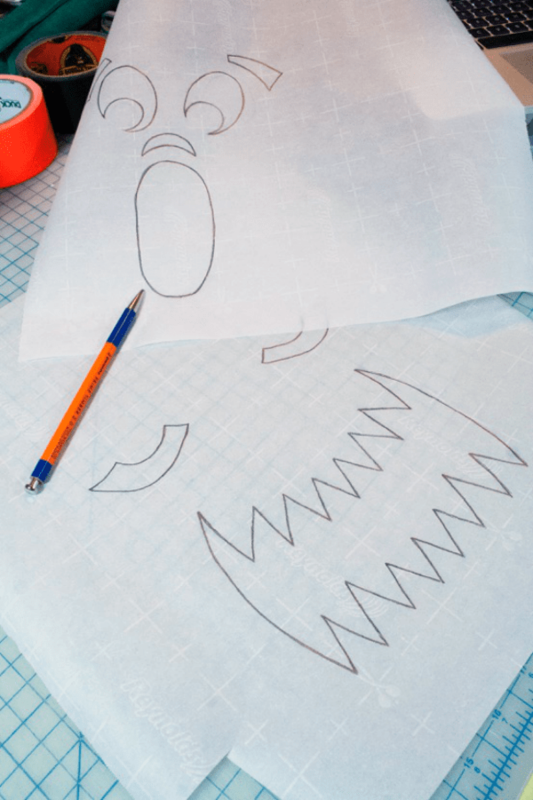 Draw Jack O’ Lantern faces on the parchment paper. 2. Cover the drawing with black duct tape. 3. Flip over parchment paper. You can see the drawing through the parchment paper. 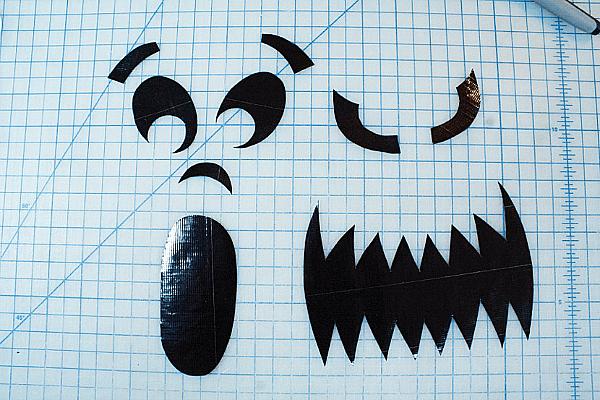 Cut out the Jack O’ Lantern face pieces using scissors. 4. 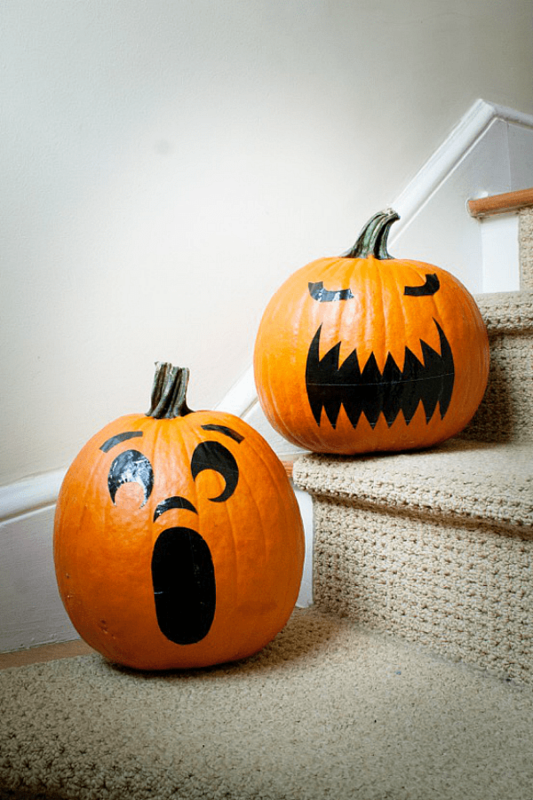 Remove the parchment paper from the back of the face pieces and place on the pumpkins. 1. 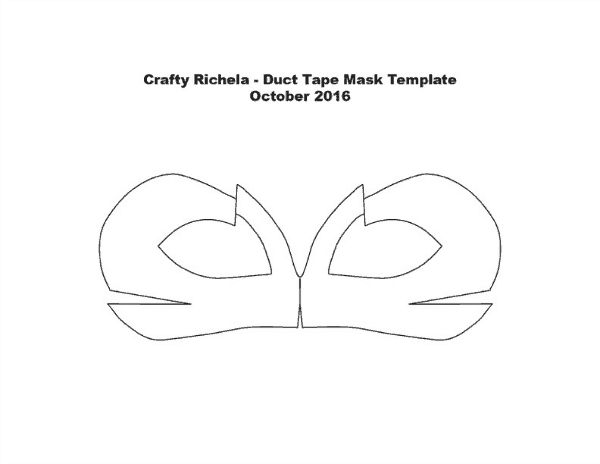 Print and cut out mask template. 2. 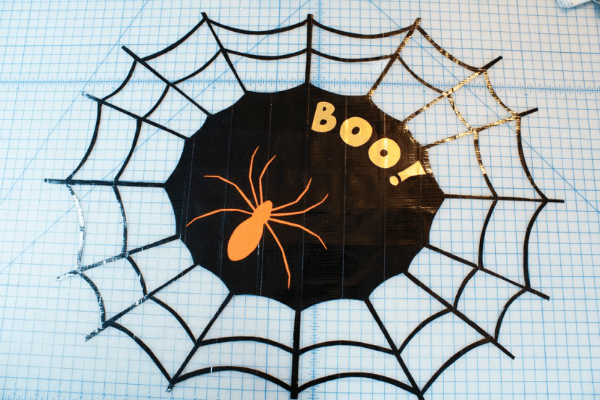 Make a double-sided duct tape fabric measuring 6″ high and 8″ wide. 3. 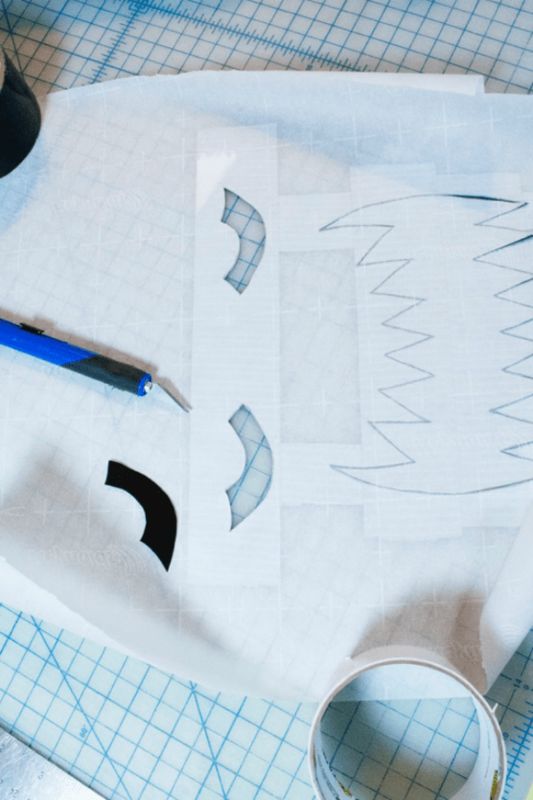 Trace the mask template onto the fabric using the grease pencil. Cut out the mask. 4. Align the top slits so the eye holes of the mask are almond-shaped. The top of the mask should become rounded and contoured. Close the slits with small pieces of duct tape. 5. Pull the side slits of the mask towards each other, which closes up the V space. Hold it in place with small pieces of tape. This should further round and contour the mask. 6. On the inside of the mask, tape a 1″ piece of wire across the nose. Then bend the mask in half vertically. 1. Make a plain mask. 2. Cut 10″ strips of yellow duct tape. Place them on the work table lengthwise with the sticky side facing up. Fold in half lengthwise by pulling up the bottom edge toward the top, but not all the way up. Leave approximately 1/4″ strip of the sticky side exposed at the top. 3. 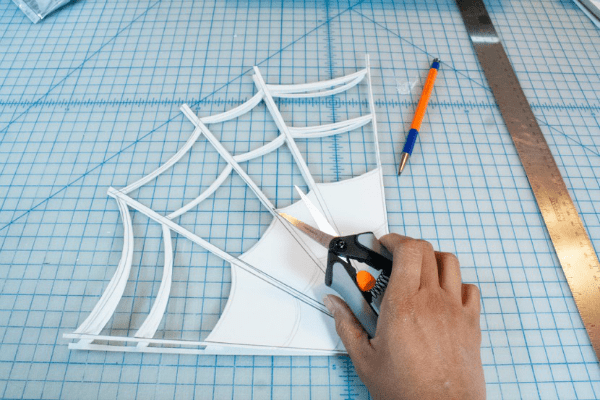 Starting at the bottom edge, cut out long triangles from the folded strips that measure approximately 1/4″ wide. 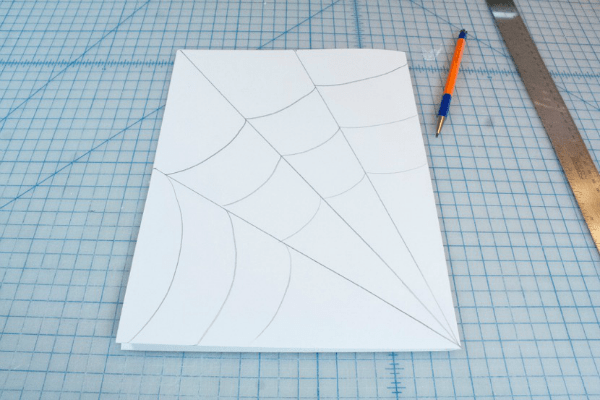 Be sure the wide base of each triangle is at the top sticky edge. 4. 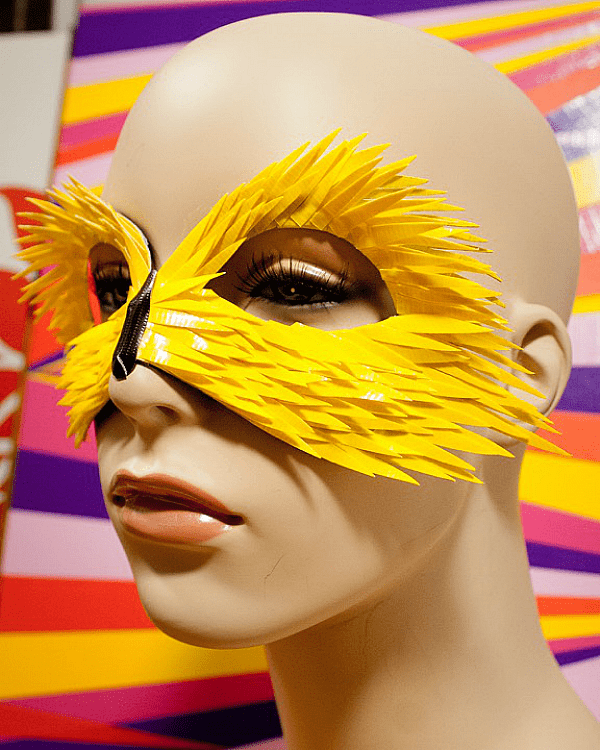 Add the feathers to the mask. Work one side at a time, either the left or the right. Start the nose and work your way around the outer edges of the mask. Be sure the point of each feather faces out. As you add the feathers, try to space them evenly. 5. Add a small black strip of duct tape vertically over the nose. 2. Using the fuchsia duct tape, make a flower. Cut out petals. 3. 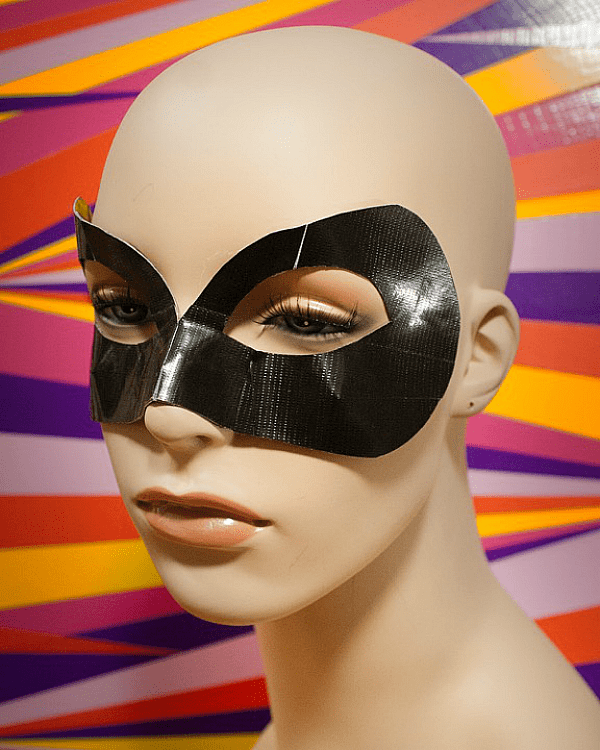 Attach the fuchsia flower to the right side of the mask using small pieces of black duct tape. 4. Cut a 10″ strip of white duct tape. 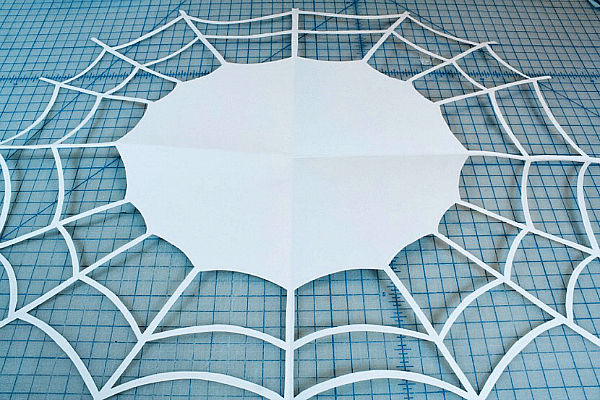 Place them on the work table lengthwise with the sticky side facing up. Place a 10″ piece of wire lengthwise in the vertical center of the tape strip. Cut a second 10″ strip of white duct tape and place it lengthwise over the first strip, sticky side facing down. At one end, cut an upside down V shape. Starting at the pointed end, cut narrow V slits along the sides toward the middle of the strip, almost touching the wire in the center. This is a feather. 5. Repeat step 4 for a second feather. 6. 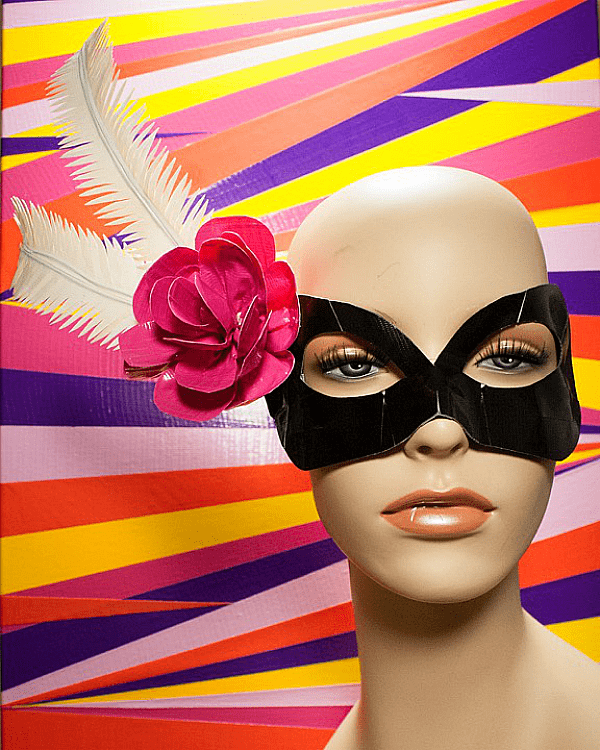 Attach the two feathers to the right side of the mask, behind the fuchsia flower. For more information, please visit, www.richelafabianmorgan.com and connect with her on Facebook, Pinterest, Instagram. For more fun duct tape projects, make sure to check out Fabian Morgan’s YouTube Channel.